We hear a lot about Arctic Ocean becoming ice-free due to global warming in the future. If Arctic Ocean becomes ice-free, what would be the impact on world shipping routes ? Are the Northern sea routes really shorter than the normally used sea routes ? 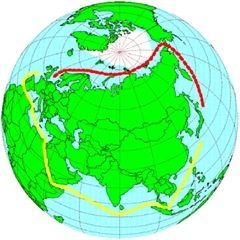 Are the shipping companies interested in using the Northern sea routes ? Is the shipping traffic through Panama Canal and Suez Canal going to reduce ? Is the Indian Ocean going to be of no importance ? Are the Somali pirates going to lose their business ? 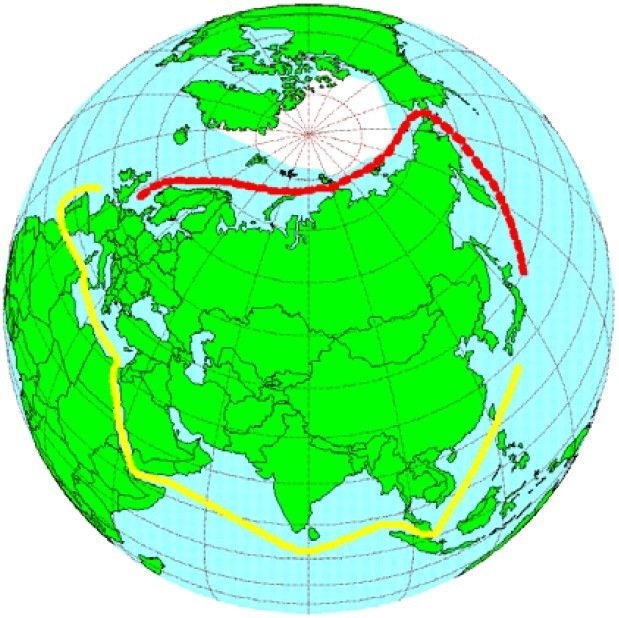 DIIS Brief: Are the northern sea routes really the shortest ?